Services :: Advanced Elevator Solutions, Inc.
AES performs the installation of commercial hydraulic and traction elevator systems. AES will assess and survey your existing equipment and provide recommendations to upgrade your equipment. AES offers very competitive routine service contracts. 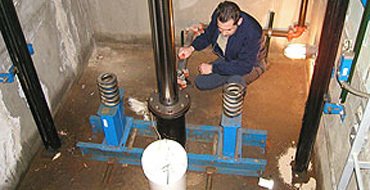 Advanced Elevator Solutions, Inc. offers very competitive routine service contracts. As a building owner or property manager, maintaining your elevator, complying with safety code requirements, and keeping your elevator passengers safe is an important part of managing your business. We believe the key to the safety and reliability of the elevator performance is regular maintenance visits which are performed by state certified elevator technicians. We do our very best to deliver a rapid response in emergency situations. 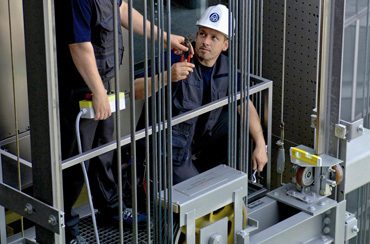 Routine examination of elevator for mechanical, electrical and safety operation. Lubricate the equipment as required. Make minor adjustments for smooth and consistent operation as needed. Furnish consumable supplies such as rags, cleaning materials, solvents, rope preservatives, lubricating oil, grease and other lubricants. Advanced Elevator Solutions, Inc. will assess and survey your existing equipment and provide recommendations to upgrade your equipment. From minor upgrades to a complete system overhaul, our approach will provide you with the best system improvements with the least cost impact. We can modernize most manufacturer’s equipment by installing new technology to your existing equipment. Our office staff and field technicians can bring your elevator into compliance with all applicable ANSI 17.1 2004 codes, help you meet the requirements of the Americans with Disabilities Act (ADA), increase elevator operational efficiency and performance, improve the appearance of your elevators, and extend the life of your equipment to help you get more from your initial investment. 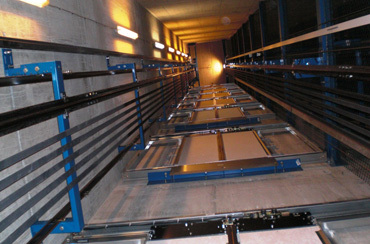 Advanced Elevator Solutions, Inc. performs the installation of commercial hydraulic and traction elevator systems. Our elevators are custom manufactured and nonproprietary for each job, which allows us to provide the exact design details and finishes that you decide for your elevator project. If you are seeking and installation of an elevator we have the trained personnel that will be with you through the entire process. Pre-Installation – AES works with the customer offering information and assistance necessary for the project. We prepare the estimated costs, provide initial design layouts and deliver the final project specifications with the necessary information for building preparation for the project. Installation – AES updates the customer consistently the projects progress, complications, conflicts with other trades schedules and status of schedule. 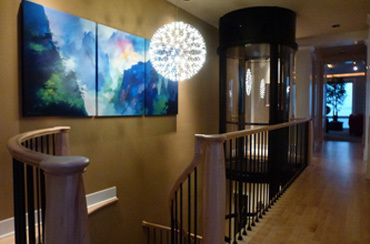 Post-Installation – AES follows up on all completed projects. Our objective is to develop long-term relationships with our customers by effectively following up on all completed projects, addressing any customer concerns and checking the installed mechanism is operating without error. Required Repairs and Repair Recommendations are brought to the attention of the owner or owner’s agent where we will fully describe the problem or potential problem, prepare and submit a formal firm price proposal and contract and gain approval to proceed. Prior consent from the owner or owner’s agent is required before any work is ever performed.